Already a popular system for RPGs, most of the games in that genre on the PS Vita have been all pretty similar anime-style games, which isn’t something I’m a fan of. Seeing a stylized and light-hearted game like this where you play as the Vice President of the World is already attention-getting enough for being different. The game starts off with having to disperse protestors and the ball keeps rolling from there. I think the story could have been a bit better told, but the humor and writing make up for the lacking narrative. A lot of RPGs have a high learning curve and are generally made for fans of the genre, but this game is pretty basic in terms and veteran RPG players may find it boring, but I don’t. As someone with little modern experience in the genre, I found the game a bit simplistic at times, but it didn’t push me away. It has a gradual curve that starts off a bit slow, but I found the simple nature of the game works in its favor. Great for short bursts on the go, this game really works on the Vita and has a broad appeal due to its design. I’ve heard this game compared to Pokémon and Earthbound and my experience with the former is relegated to the originals on Game Boy. 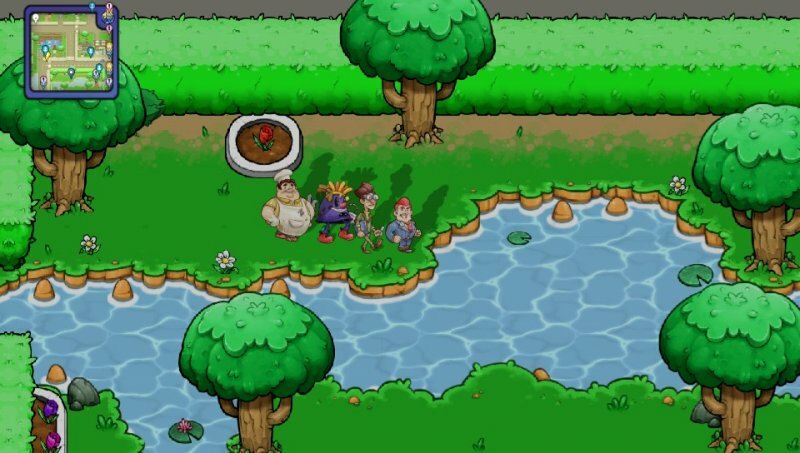 Citizens of Earth is a bit similar in that you go around completing missions for people, gaining new characters to battle with and explore an interesting world. The advantage to Citizens of Earth is the aesthetic and design of it, proving to be an easy to pick up and play type game. There aren’t cumbersome and overly complex interfaces, needlessly drawn out cutscenes and over-the-top stories here. Instead, Citizens of Earth succeeds with its fun and simple design. It’s deep enough to keep you interested but not complex enough to push away newcomers. The menu screen has six different choices which prevent things from becoming needlessly complex. Sometimes it can be a bit difficult to discern how to accomplish a certain mission, but issues like this are rare. One issue that I’ve found is that the number of side mission quests increases rapidly and can be overwhelming and disorienting. It’s a pretty straight forward experience overall and the cast of cartoony characters is consistently humorous and engaging. Citizens of Earth looks beautiful on the Vita’s screen; bright and vibrant colors in a cartoon aesthetic with much of the game voiced well too. It’s a goofy funny game and the art style is one of the main factors associated with that. There are many different characters that are in the cartoon-style and the tongue-in-cheek dialogue coupled with funny animations really makes the game stand out. Such a variety of humorous characters really adds to the game world, everything from a cat lady to a used car salesman can be recruited to your team. You can have three active members on your team and my current badass team consists of a teacher, a school mascot, and the baker. To recruit someone, you have to achieve a certain goal, such as passing a quiz for the teacher and after recruiting someone, you can switch between members quickly with the pause menu. When you battle with your recruited characters they gain experience points and can level up which unlocks new abilities. This is all very seamless and new abilities can require more energy, but will give you more defensive abilities and new powerful attacks to use. In other RPGs, some characters might be “wizards” and attacks might involve magic, but in this game, your mom can “Nag” and your brother can “Wrestle” and it only gets better from there. The game literally says, “Mom lowers Heckler’s defense with a stern lecture” and it’s awesome. 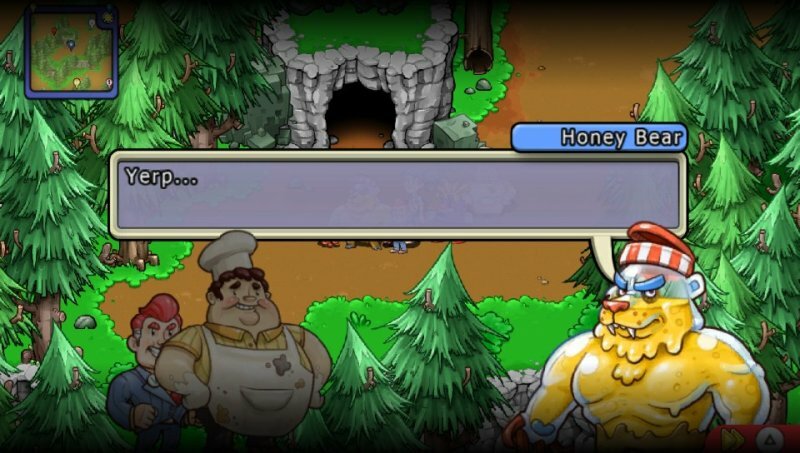 All of the written dialogue is humorous in a light-hearted manner, really creating a unique and fun tone for the game. Some of the game is voiced and I wish more of it was, but at 1.6GB, the game is already pretty big in size. Voices are well done and most of the main story-related stuff is spoken, but a lot of the random characters you come across are text only, maybe with a sound clip at the beginning but that’s it. Music is pretty simplistic and upbeat, sometimes it gets repetitive but it’s not really annoying so that’s always a plus. A lot of things work in this game’s favor on the Vita. From the great graphics with vibrant colors that pop, to the unique art style that goes along with it. One of the other things is the short load times. Nothing is more frustrating for a portable system than to have long load times to deal with. While the game loads each time you enter a new area or building, the loading times are only a few seconds long. 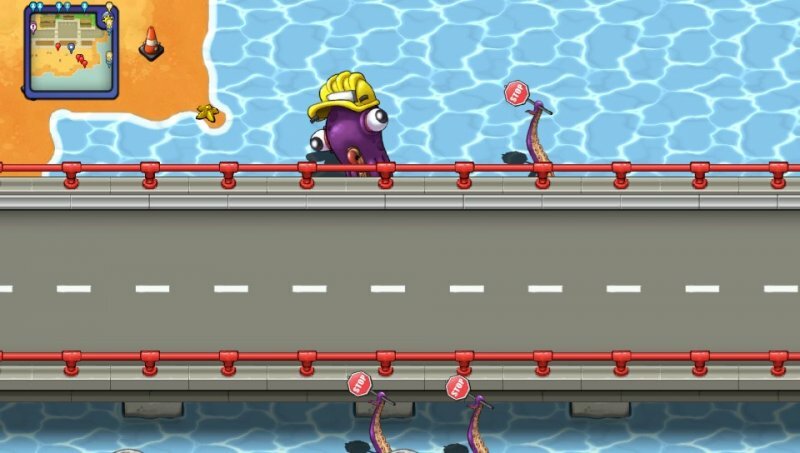 The levels within the game are well designed and it’s pretty easy to get a hang for where things are located on the map. Sometimes with many different missions, it’s hard to remember which goal is accomplished where, but overall it’s a fun world to explore and the short load times mean getting lost isn’t frustrating. Although sometimes the short load times can add up and be more frequent in certain areas, but overall, the loading isn’t really a huge issue. What is an issue is that I’ve run into a couple glitches with this game. Once I had to quit out and reload my save, another time the game glitched and prevented me from battling anyone and when I went into the next area, the game crashed completely and wanted me to submit a system error report. I found another review online that complained of the same thing in the same spot, which after you get the key to the coffee shop. The glitches are not common and the auto-save prevented me from losing progress, but it’s disappointing to see that happen and just make sure to save often. 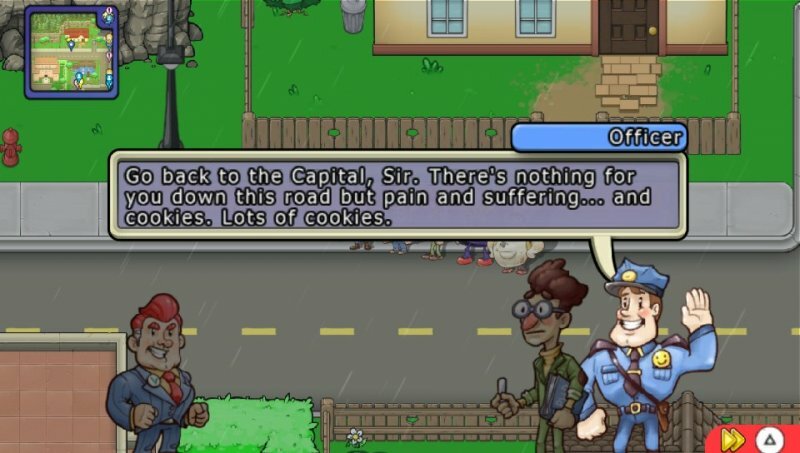 While Citizens of Earth has a few issues, it’s teeming with charm and wit. The game is well-written and voiced. 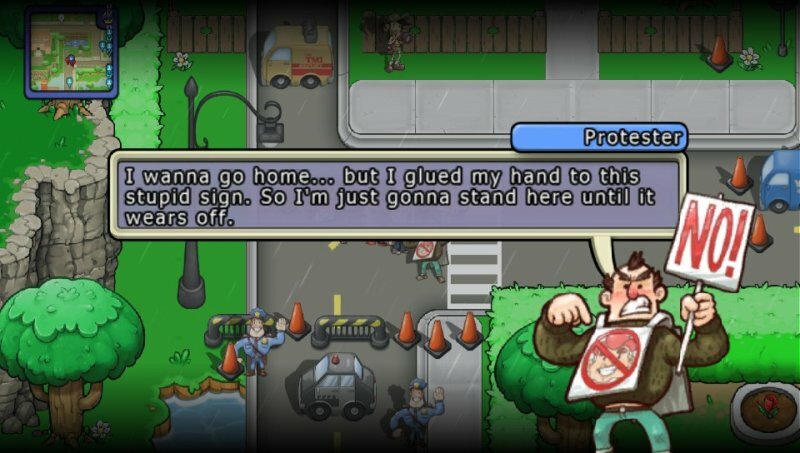 Tongue-in-cheek satire and its great cartoon aesthetic work hand-in-hand in creating a unique and refreshing RPG game that remains fun and entertaining throughout. Looking amongst the competition for Vita’s RPGs, nothing else appeals to me. I see countless anime games and I want nothing to do with that, but Citizens of Earth on the other hand stands out and accomplishes what it sets out to. From a company known for RPGs, Atlus has another winner here. The style and humor and writing of Citizens of Earth help solidify its place amongst an already crowded genre on the system. While as of this writing there hasn’t been a patch to fix glitches, it’s still a very worthwhile game. 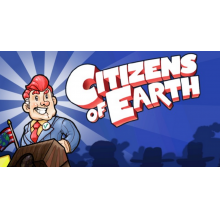 Despite being sometimes repetitive, Citizens of Earth remains an easy game to pick up and play. Charming, witty, and loaded with satirical commentary, it’s a very entertaining and enjoyable game that is worth your time. It’s Gotta Be A New Conception II Teaser Trailer!